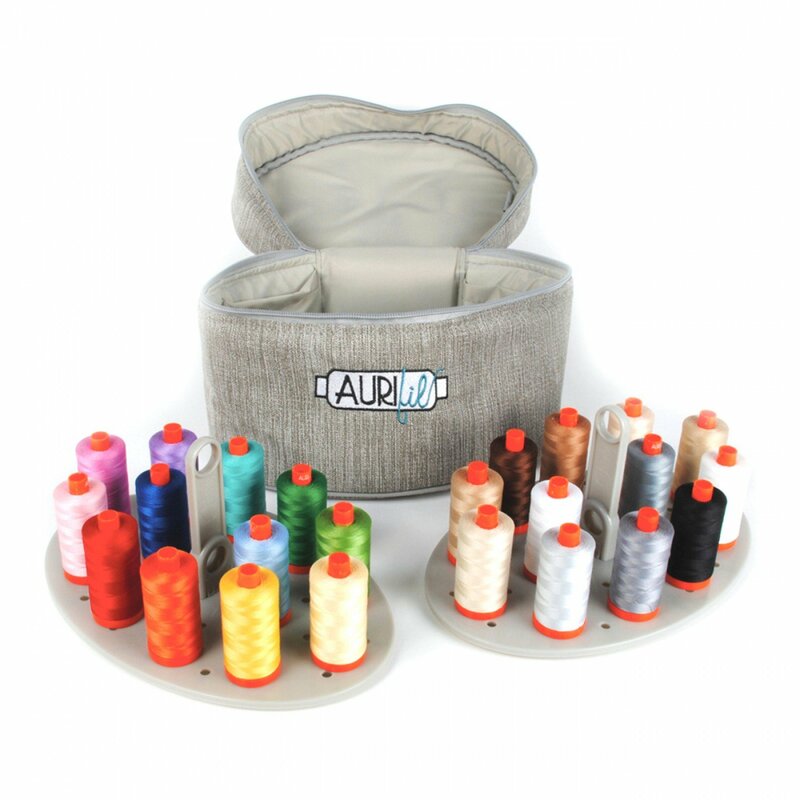 Pocket sizes: three pockets 3.75" x 4.25" and two pockets 3.75" x 5.25"
Limited Edition Thread Case includes 24 large spools (1,422 yards each) of Aurifil 50wt 100% cotton thread in Aurifil's top selling colors. Equipped with an interior stacking system. 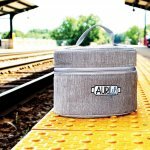 This sleek and savvy carrying case is the perfect way to transport your go-to Aurifil threads from one event to the next. 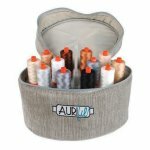 Case includes five interior pockets along the lining of walls, perfect for storing your needles, bobbins, snips and more.